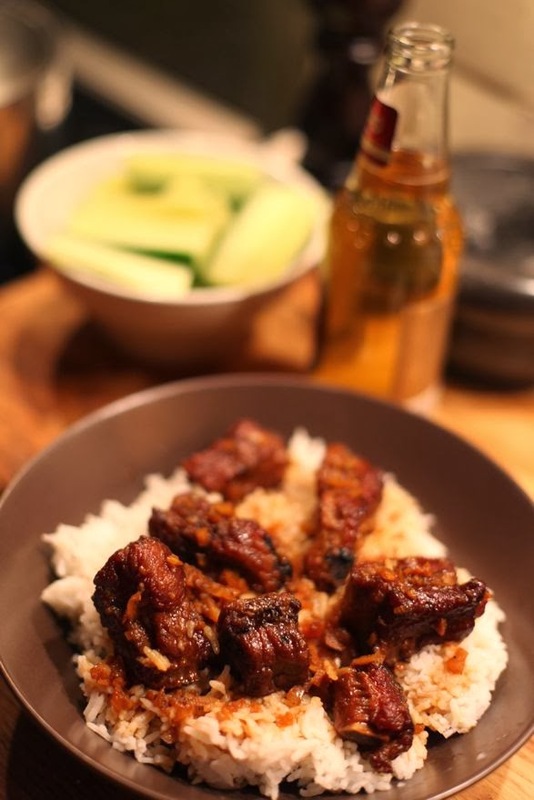 My brother Peter, his wife Jackie, and their son Jackson came to visit us in Paris during Thanksgiving last year and made us an unbelievably delicious Vietnamese Short Ribs recipe that only has 4 ingredients in it. They told us it was their "go to" recipe when having friends over because its always a slam dunk. Whoooooooosh was right. Jackie's parents are from Vietnam and her father, Michael Vuong, has taught Jackie (and Peter) how to make many of his tasty recipes. 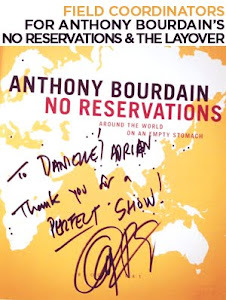 I've tasted another one of his rib recipe's via Jackie and Peter, which was also simple and crazy good... we can save that one for later. Although, just thinking about it makes me want to make it tonight for dinner. 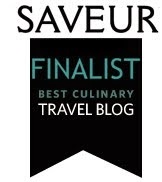 Peter and Jackie live in Switzerland, but at the time of writing this post, Jackie was visiting her family in Los Angeles and emailed me her father's recipe straight from the source. Lucky us. Chop the garlic (there's no such thing as too much in this recipe). Put aside. 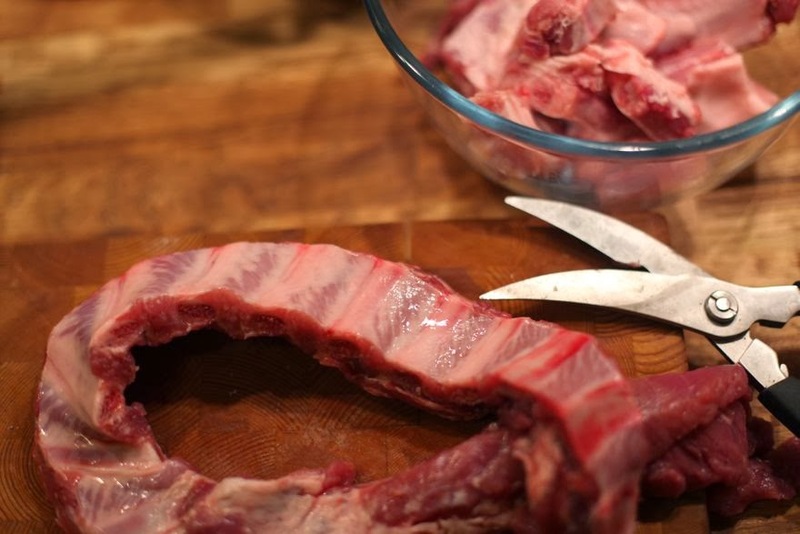 If your the ribs are not cut for you, I recommend using kitchen shears to easily cut them yourself (see below photos). 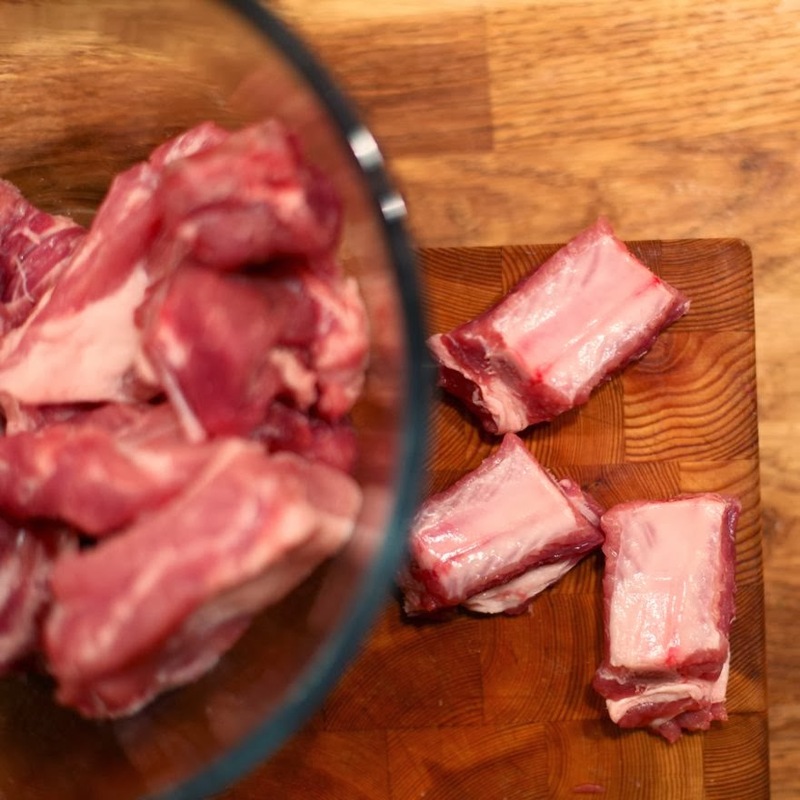 Cut your ribs, trim fat and pat dry. Make sure the meat is dry before you start browning them otherwise they won't brown well. In a really hot skillet/pan with a bit of oil brown the ribs on all sides. Pressing the ribs down onto the pan helps. Make sure to turn each rib individually, getting them nice and brown on all sides. This process will take some time but patience will yield goodness. Believe me. Once all the ribs are pretty brown on all sides, sprinkle some sugar on them and toss until they are an even darker brown. This will happen very quickly. 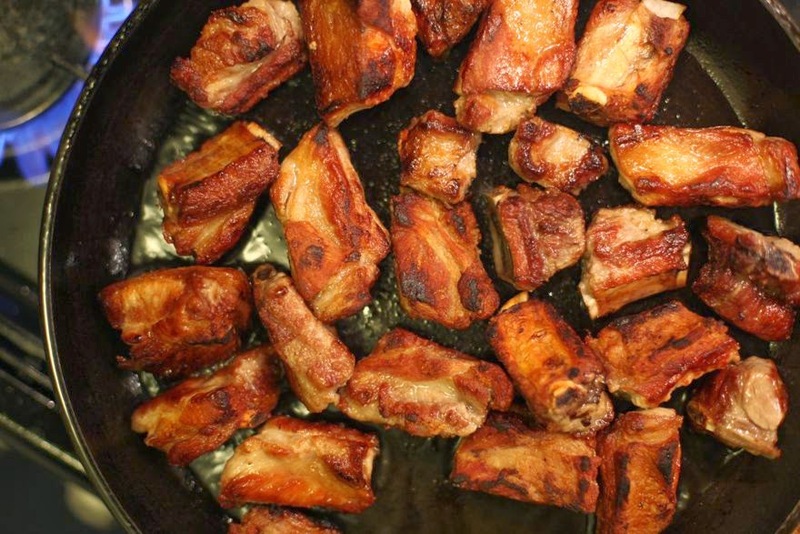 It's critical that you do not over-caramelize (burn the sugar) the ribs at this stage, as it will compromise the flavor of the sauce by making them taste slightly bitter later on. Be very careful with your timing here and have your water ready to go in! Next, quickly douse them generously with fish sauce, throw in half of the garlic and finally, add enough water to barely cover the ribs and turn the fire down. Let these guys braise for about 40 minutes to an hour. Covered. After the 30 minutes are up, taste the sauce and see if it needs more fish sauce or sugar to taste. 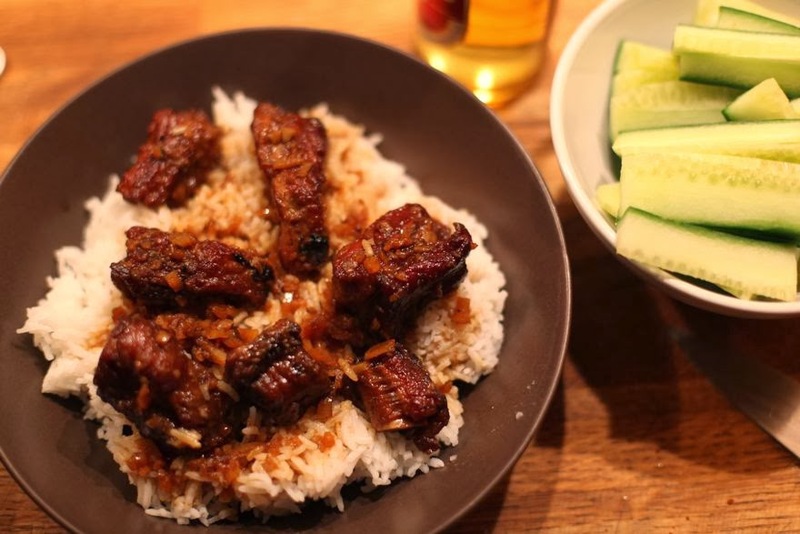 If you carmelized the ribs correctly, you will only need to add a few splashes of fish sauce. If you over caramelized the ribs, you may want to add a little sugar to counter the slightly burnt flavor. Find a flavor balance that works best for the dish. You may need to reduce the sauce a bit, just until it has a nice deep flavor. You will want enough sauce to spoon over the ribs and rice. Once its good add the rest of the garlic toss them a little and cover until serving time. Serve with plain white Jasmine rice, fresh cold English cucumber pieces cut into spears. Traditionally you can eat this with a Thai chili pepper on the side, or a chili sauce of your choice. Sriracha is always a good one.